It’s Party Time! 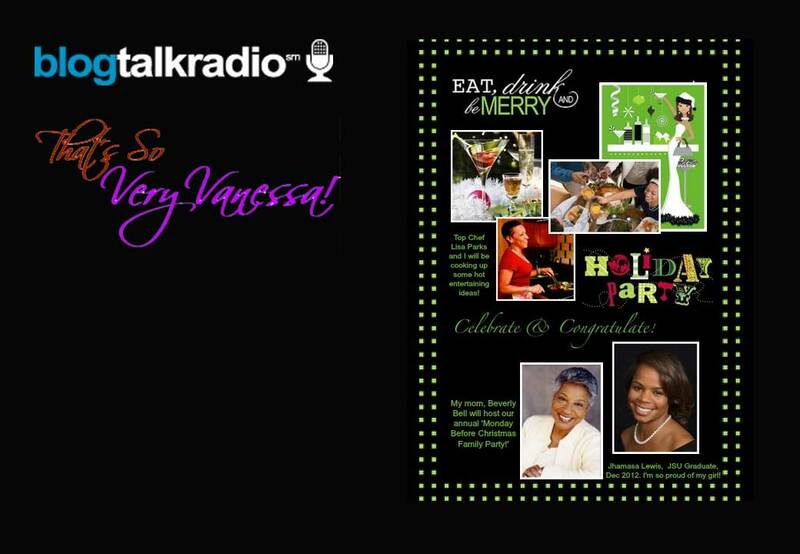 I’m having fun TODAY with Top Chef Lisa Parks and my mom, Beverly Bell, as we talk about our holiday party tips and traditions. I’m also celebrating one of my daughter’s, Jhamasa Lewis, recent college graduation from Jackson State University!